We either swoop in and save our child or stop our child and apologetically remove them from the situation, but when we do this we are missing an opportunity to teach our child about conflict, in that it is a normal part of life, and although we might disagree with others, we can still remain friends. As with social skills, the best way to teach children conflict-resolution skills is to practise in real-life situations. By guiding children through the process, you teach your children how to manage their frustrations and look for solutions. It is also a good opportunity to encourage your child to be assertive, rather than passive or dominating. If your child does become frustrated or angry, try to stay calm because they don’t yet have the maturity to manage their emotions so it is a very normal response. And lastly, try to encourage empathy. What is bullying and what is not? Bullying is when a child is repeatedly targeted; this could include verbal aggression such as name-calling or threats, physical violence, or it may mean exclusion, all of which are hurtful and damaging to the victim. Bullying is not normal childhood conflict or personality clashes, in which case working on positive social skills can help. Bullying is a huge issue in our society, particularly as it can move beyond the playground and occur online. If experienced in the early years it can have a serious long-term impact on a child’s wellbeing. If you suspect your child is being bullied or you notice changes in behaviour it is important to speak to the classroom teacher immediately. Never, ever approach the bully or the parent as this can often escalate the situation and make it worse for your child, often inviting the bully to up the ante. Bullies tend to target more sensitive and vulnerable children, which is why waiting until your child is socially ready to start school can help reduce the chance of your child being bullied. Sadly, most children will experience some form of bullying during their school life, however, more confident and assertive children with strong friendships are less likely to be bullied, and are often more resilient if they experience bullying. I don’t have the answers to this problem but I have a few insights from my experience as a teacher and I have a few strategies that can help equip children in dealing with bullies because they exist in every school and every classroom, and likely in every workplace. This is not an extensive list rather a few tools from my toolbox that I have used over the years to support victims and their families. If your child has a good social network outside of school it can really support them if they experience bullying. It’s like a backup plan so they don’t feel so isolated and lonely. It can also help to try to establish a new peer group within the school, if possible. Build a child’s confidence by focusing on their strengths, talents and achievements. Build their self-worth so that they are not looking for it from an exterior source such as the opinions of their peers. It is actually really hard to get the balance right when being assertive, but from a young age, if you can work on conflict resolution skills as well as self-regulation, it can make a huge difference in enabling your child to deal with conflict in a calm but assertive manner. Again, practise in real-life situations. Don’t be afraid to step in and help your child practise being assertive and always follow-up with a conversation about the experience.Talk about voicing your opinion, not allowing others to dominate you and expecting respect from others. It also helps if you have a nurturing parenting style where your child has the opportunity to voice their opinions, and their ideas and feelings are valued. It is great practice for the real world. When a child is bullied they begin to think there is something wrong with them. They perceive that they are the problem or that they somehow deserve this treatment. My tactic is to turn the tables so that the victim can see that actually it is the bully with the problem not them, they are simply the target. Role play: what to do? With my students, I use the fishing analogy to explain how a bully operates. I tell my students: When a fisherman is fishing he picks a spot to fish, he puts bait on the line and waits. If he gets lots of bites on the line he will stay in the spot and continue to fish however, if he doesn’t get any bites he will try a different bait. If that doesn’t work, after a while he will give up and move to a new spot. The bully is a fisherman and you are the fish. Every taunt is like the bait but if you don’t take the bait eventually the bully will give up and move on. I have found this analogy works very well, particularly with boys who lash out at the bully then find themselves in trouble. Remind them that this is exactly what the bully wants and by not reacting you can outsmart the bully. Children who are bullied feel lonely and isolated and they often think that it only happens to them or it is somehow their fault, but when you share experiences of bullying and stories of people who have overcome bullying, be it your own story or a celebrity or sports star, it helps children to feel less isolated and lonely. It teaches them to focus on the opinions of people they respect rather than on the bully and it gives them hope that they can rise above the bullying and move on from it. I learnt this lesson when I was counselling. I had a year 5 student who was experiencing bullying. He had just moved schools and was struggling to fit in. He would often react with violence when he was pushed, and because he was a tall, strong boy this made the situation more dangerous. One day I was counselling him about a recent incident where he had been pulled off the playground and ended up in the principal’s office. I used my fishing analogy and told him that’s what I did when people said bad things about me. I’ll never forget his face when he looked at me; he was so shocked to discover that this had happened to me. I gave him a few examples of things that were said to me as an adult and he said, but that’s not true, and I was able to demonstrate to him that what a bully says is not true and that what mattered to me was the opinions of my family and true friends. When you explain to children that everyone experiences some form of bullying at some point in their life and that even famous people have been bullied it helps them to feel less isolated and less likely to internalise their feelings, which is very important. The more we can get children to open up about being bullied the more we are able to empower them. Never, ever encourage your child to use physical violence. Sometimes it may seem like a last resort but there are so many things that can go wrong. What if your child badly injures the child and the parents take legal action? Or what if your child is expelled? And while violence may work initially, what if the bully comes back with more children or an older sibling? What if the bully overpowers your child? It actually makes your child more vulnerable and at risk of physical harm. Also think of the long-term consequences of using physical violence, at school, it may equal a suspension but in the adult world, it could mean jail time and a criminal record. It’s never a good idea. If you have reached a point where you feel you are out of options see below for ideas. These are only my suggestions from my experiences of working with children, they are tips to try and support your child but it is by no means a comprehensive list. If your child has experienced severe bullying I would recommend seeking professional help from a counsellor to avoid long-term effects such as anxiety, depression or low self-esteem. I also strongly recommend you work with the school. Unfortunately, not all schools manage bullying well despite having pages of anti-bullying policies, and even the best schools have difficulty dealing with bullying because in order to modify a bully’s behaviour you really need parental support. In some cases, parents are devastated to find out about their child’s bullying, in other cases, parents try to justify and excuse behaviour or worse still, ignore the problem and refuse to admit that there is one. In this case, it can be very hard to create change. If you feel you have exhausted all possibilities and the bullying continues, or your child’s self-esteem is very low, it may be time to consider moving schools. There is a lot of debate about changing schools because there is an argument that there are bullies in every school so you may be just be moving the problem and, unfortunately, some children do go on to experience bullying in the next school. However, other children find that a fresh start is just what they need and it can be a huge relief to not have to face the bully on a daily basis. I don’t think there is one answer for every child, as a parent it’s best to weigh up the risks and bene ts for your child. One example of when this has worked is with a year 6 student who I worked with. She had been removed from her home and placed in foster care. She was often teased about this and was even asked probing questions by parents. When she went to high school she attended a school in a new area where nobody knew her, this proved to be so beneficial for her. Nobody knew her family situation or judged her, she developed some solid friendships and it was the best decision for her. If you decide to move your child to a new school make sure you work really hard to improve their social skills, nurture their friendships and build their self-esteem so you can help break the cycle of bullying. Don’t let them go to a new school with a victim mentality or they are at risk of it happening again. It’s no-one else’s business why your child has changed schools so start with a positive attitude and if anyone asks your child why they changed schools give them a generic response like it’s easier for Mum to get me here. 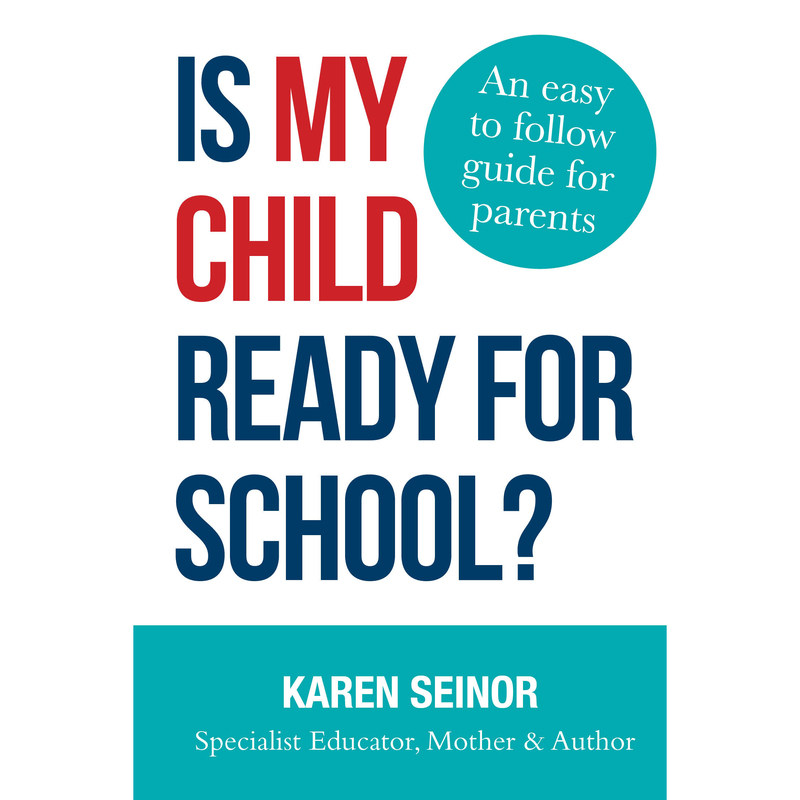 It may seem overwhelming but actually, if you give your child plenty of opportunities to play and socialise prior to school, most children will very naturally develop the social skills and level of maturity necessary to navigate school life.